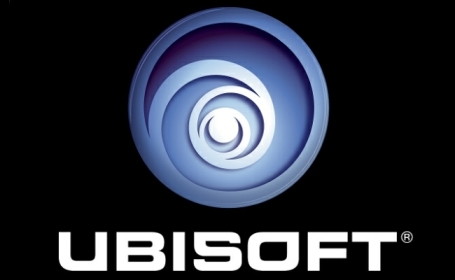 Ubisoft, the third publisher of the day to hold their annual pre-E3 press conference, had a number of exciting games to show off this year. First up at the Aisha Tyler hosted event, a troupe of dancers greeted press conference attendees with a choreographed Just Dance 4 announcement, complete with a surprise performance by Flo Rida. Following Just Dance 4, came something a bit more action oriented - a stage demo of Farcry 3's story mode. Featuring a lush tropical environment, brutal combat, and a decidedly trippy looking end sequence, Farcry3 will be available September 4, for XBox 360, PC, and Playstation 3. Continuing the action oriented segement of their press conference, Ubisoft showed off the "Welcome to Fourth Echelon" trailer for Splinter Cell: Blacklist, along with a reveal teaser for the upcoming Avengers: Battle for Earth title, coming to Xbox 360 and Wii U this fall. EA held their annual E3 press conference earlier today, kicking things off with a new trailer for Dead Space 3, along with a stage demo for the game's just confirmed co-op mode. Featuring drop in, drop out 2 player, we are introduced to a new character: John Carver. Also introduced was a new, hoth-like ice planet, sometime during act 2 of the game. Opting for less of the atmospheric scares of the first two games, in favor of large scale action, Dead Space 3 will hit stores next February. Next up, came Madden 13. Madden fans can expect a new graphics engine, called infinity, as well as an all new connected careers gameplay mode. Connected careers mode has a story surrounding your league, along with a (fictitious) in-game virtual twitter feed. On the social gaming front, just as The Sims did last year, Sim City is hitting Facebook in a big way. Sim City: Social will be free to play, and will be coming to Facebook within the next few weeks. On a second Sim City note, a new PC based version has been announced, featuring a new graphics engine, and in a series first, multiplayer. Sim City will be launching for the PC next February. For your viewing pleasure, the just released trailer for South Park: The Stick of Truth. Do you have what it takes to be the fifth member of the South Park gang? South Park: The Stick of Truth will be available March 5, 2012 for Xbox 360, Playstation 3, and PC. Microsoft just concluded their annual E3 press conference, and has opened the expo guns blazing. They kicked things off by showcasing eight minutes of Halo 4 single player, which highlighted a new, as yet to be named enemy and new UI elements. Following the stage demo, Ubisoft took the stage to introduce the sixth entry in the Splinter Cell franchise; Splinter Cell: Blacklist. Following Sam Fisher's renegade stint in prior entries, he is now back in an official capacity, as the leader of forth echelon. Blacklist features Kinect support, co-op, and spies vs mercs mode, and will ship sometime next spring. A teaser trailer for the just announced Gears of War prequel was unveiled. Now officially known as Gears of War: Judgement, expect more information to come soon. Later, Yusef Mehdi, head of Xbox Marketing and Strategy, took the stage to announce new media and entertainment partnerships for the Xbox 360, as well as expanded bing voice search functionality. Soon, Xbox users will be able to search by genre, and the functionality will be expanded to 12 new countries, including Mexico. Four new entertainment providers - out of an additional 35 - were revealed; Nickelodeon, Paramount, Machinima, and Univision. In addition, expanded sports offerings were revealed; NBA, NHL, and new Watch ESPN functionality. Beyond third party entertainment, as largely anticipated, Microsoft has officially nixed the Zune Branding. Soon, Zune Music will be renamed to Xbox Music, and like Zune, will retain the branding across PC, Tablets, Xbox, and Windows Phone. Earlier this evening, Nintendo streamed a pre-E3 edition of Nintendo Direct, focused entirely on the Wii U. Although no launch titles were announced in the broadcast, it offered a closer look at the upcoming console. In particular, the innovative - and much talked about - tablet controller has been given a new name and redesign. 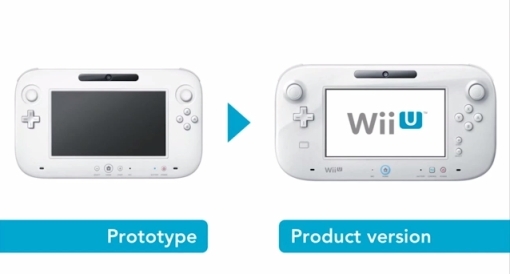 Now officially known as the Wii U Gamepad, notable changes from last year's prototype include the addition of NFC functionality, a TV button, and control sticks as opposed to nubs. Additionally, the face buttons have been moved for added player comfort, as have the start and select buttons.